Chicago Windows | Windows For Homeowners | Best Windows Inc.
Having been a part of the Chicago area for more than 15 years, we understand the curve balls weather can throw from one day to the next. Are your windows up to the task of holding out the cold and keeping in the warmth this winter? If not, you might want to start considering new residential windows for your home. Whether you have a few small windows to replace, or quite a few large spans, we can help make your home much more energy efficient. Not only will this keep your family comfortable throughout the year, but it will also help lower your energy bills almost immediately. All of our windows are high quality and energy efficient. In fact, you can even find triple pane glass that offers 91% UV blockage, as well as a 0.27 U-rating in our product line-up. 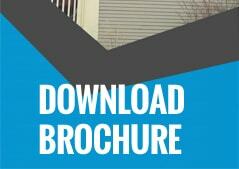 This translates into immediate savings on your heating and cooling costs this year. We offer maintenance-free, double-hung, attractive bay, classic garden, spacious casement, sliding and bow style windows for you to consider. In addition, you can find sleek patio doors in our selection of products as well. Our current installation team has been here since 2006, so you can rest assured knowing they are professional and experienced. But you don’t have to take our word for it. Head over to our reviews page and read what past clients have said. 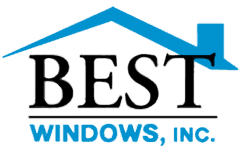 For affordability, high-quality craftsmanship and professional installation, you can’t go wrong with Best Windows, Inc. We take pride in every project we handle, no matter how big or small, and put your satisfaction at the top of the list. If you have any questions or concerns, please contact us. We’ll be happy to answer your questions.